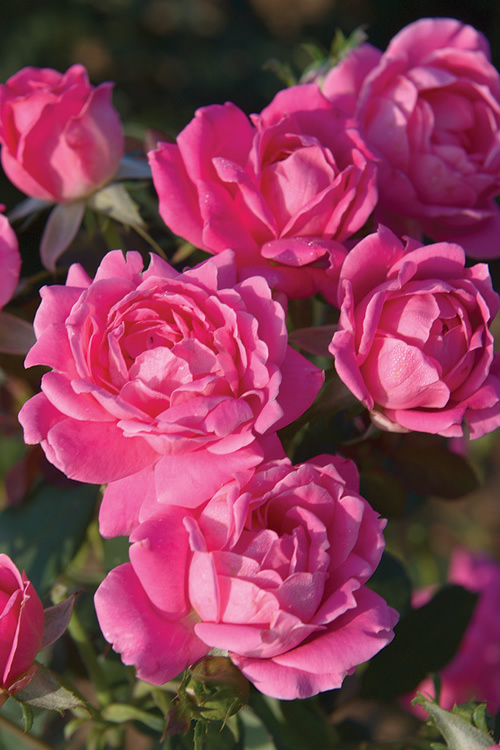 One of the easiest roses you'll ever grow, the Double Pink Knock Out Rose produces an abundance of fully double, bright pink flowers from April to frost on disease free plants. It is just as disease resistant as the famous original Knock Out Rose. Get all the details below!! 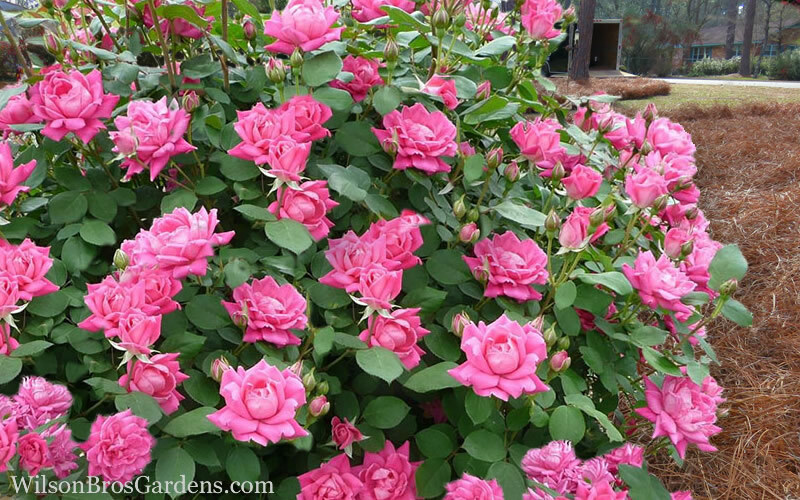 One of the easiest roses you'll ever grow, the Double Pink Knock Out Rose produces an abundance of fully double, bright pink flowers from April to frost on disease free plants. It is just as disease resistant as the famous original Knock Out Rose. 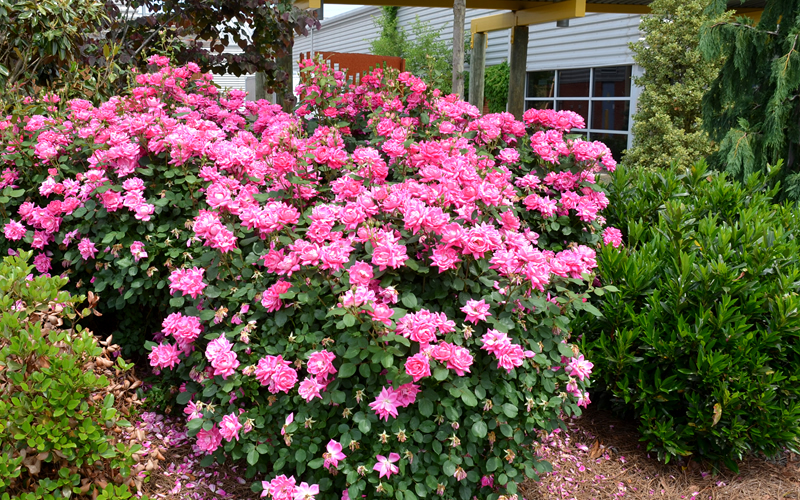 Growing 4 to 5 feet tall and wide, the Pink Double Knock Out Rose is ideal for use as a specimen, in groupings or as a colorful hedge in landscape and flowering shrub borders and home foundation plantings. This rose is so reliable and attractive throughout the season we have no problem suggesting it for use in home foundation plantings. A fine addition to rose gardens, cottage gardens and pink theme gardens. 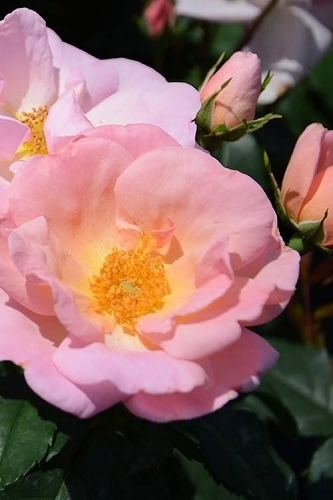 Double Pink Knock Out Rose is the easiest rose you'll ever grow. Knock Out Roses are exceptionally easy to grow in average, moist but well-drained soils in full sun to part shade. 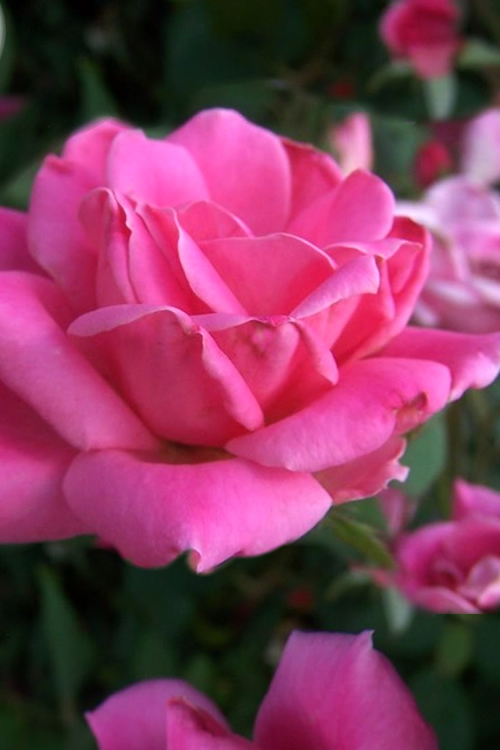 As with all other roses, to avoid powdery mildew on the leaves morning sun is a must to dry dew from the leaves. Afternoon shade or filtered sun is fine. 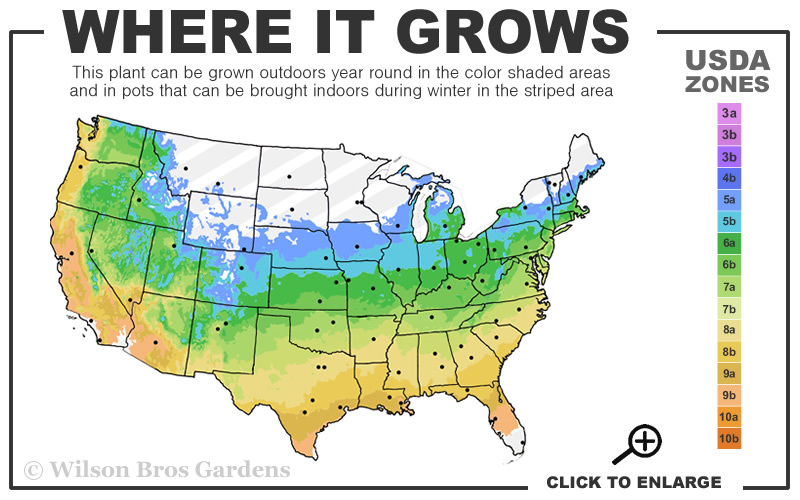 We suggest 6 hours of direct sun light for best flowering. Click on the link below to find helpful advice from our experts on how to plant and care for Knock Out Roses.